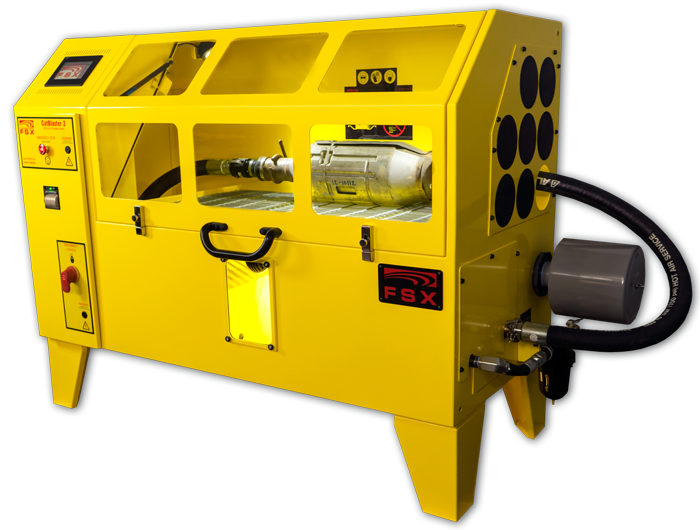 The FSX CatBlaster™ System is the perfect solution for cleaning closed-end light duty & automotive DPFs and DOCs. 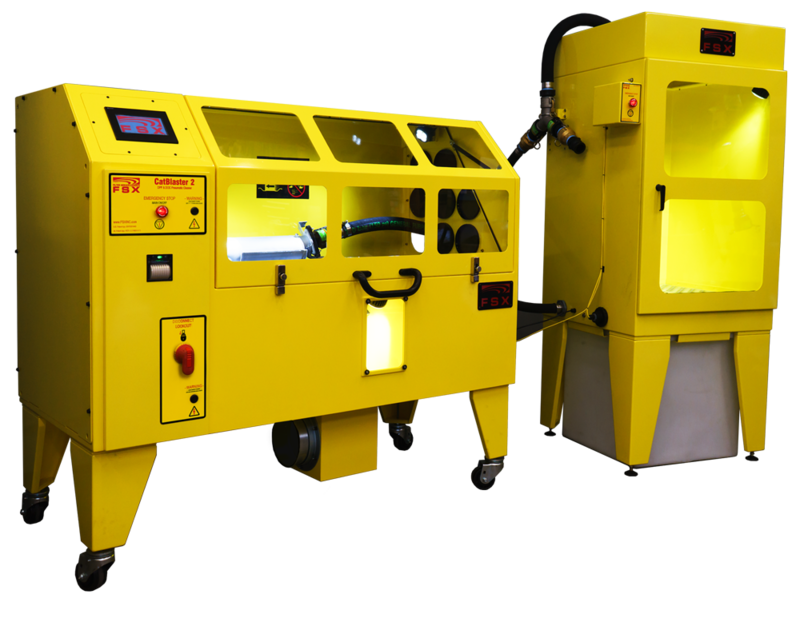 Utilizing dry pnuematic cleaning combined with a second wet cleaning process you can be assured you are getting the best cleaning. 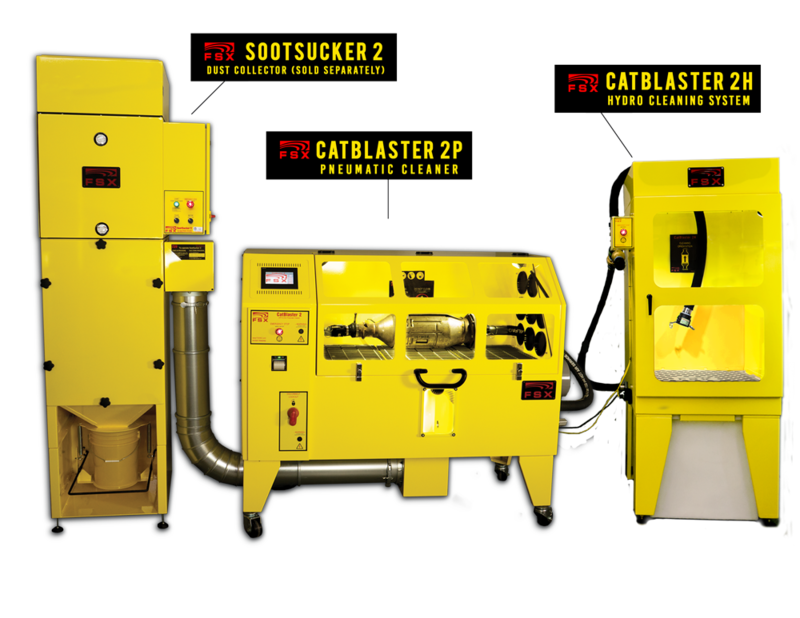 Order your FSX CatBlaster DPF Cleaner Today! 1. The CatBlaster 2P detects failed DPFs in the first few seconds during the bypass detection. 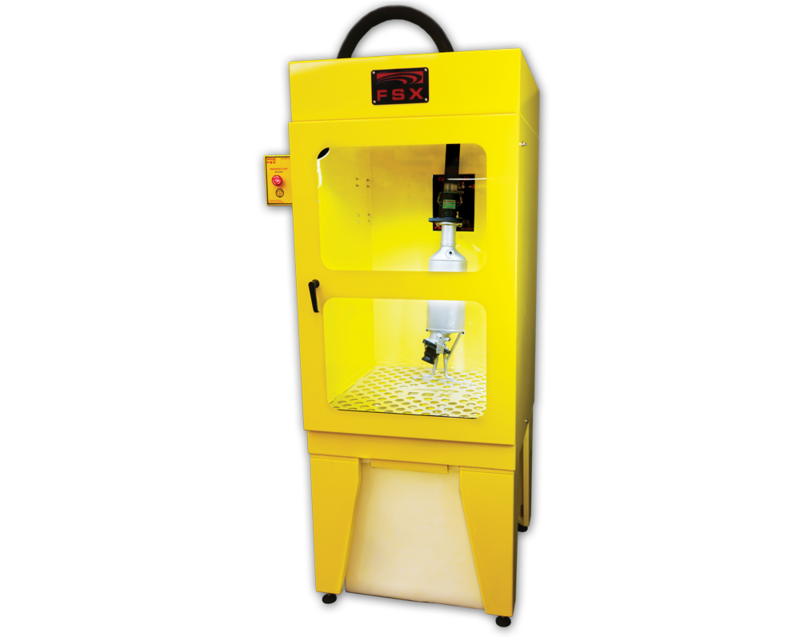 Using a water flush machine first will not allow detection of a breached DPF causing a bad DPF to be unknowingly reinstalled. 2. Adding water to soot and ash creates a hazardous messy sludge, which can remain inside the micropores of the DPF. 208V - 240V, 480V, 3 ph, 60 Hz. 400V, 3 ph, 50 Hz. Electrical: 208V - 240V, 480V, 3 ph, 60 Hz. | 400V, 3 ph, 50 Hz.